The Jacquemart-André mansion is located in the ”new” Parisian place of the Monceau plain. The imperial aristocracy decided to settle down in that location after the architectural reconstruction of the district and completely rethought by the famous prefect Hausmman. The facade on Boulevard Haussmann, framed by two pavilions, is punctuated by pilasters and has a rounded central fore-body, according to a disposition inspired by the Petit Trianon of the Château de Versailles. 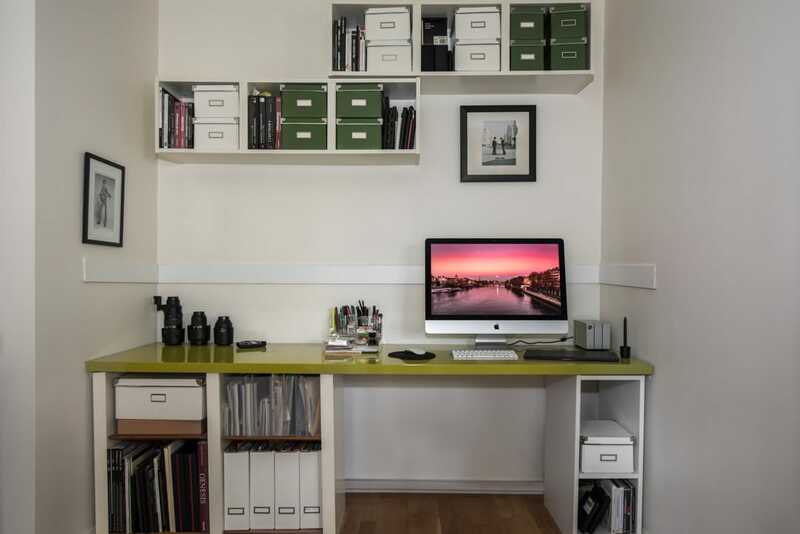 The beauty of the location on Boulevard Hausmann is unique. It was in 1869 that Edouard André, heir to a fortune, bought a piece of land on which his mansion was built. 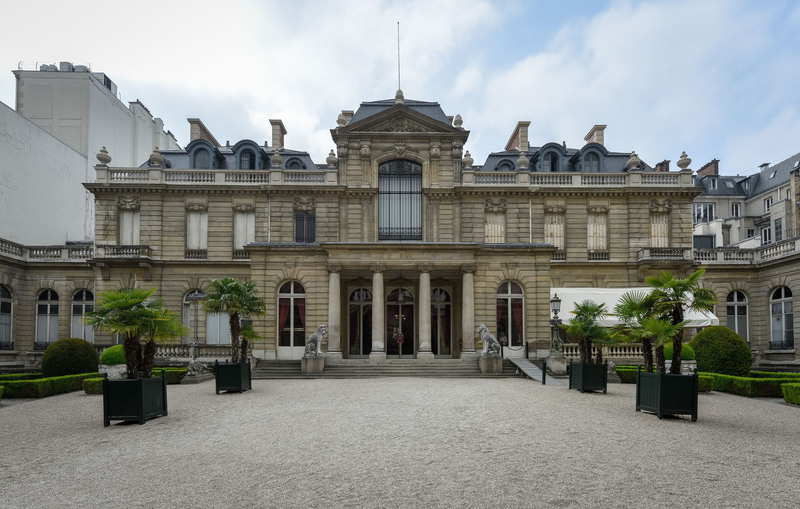 It will be transformed into a museum in 1913 after the death of his wife Nélie Jacquemart. 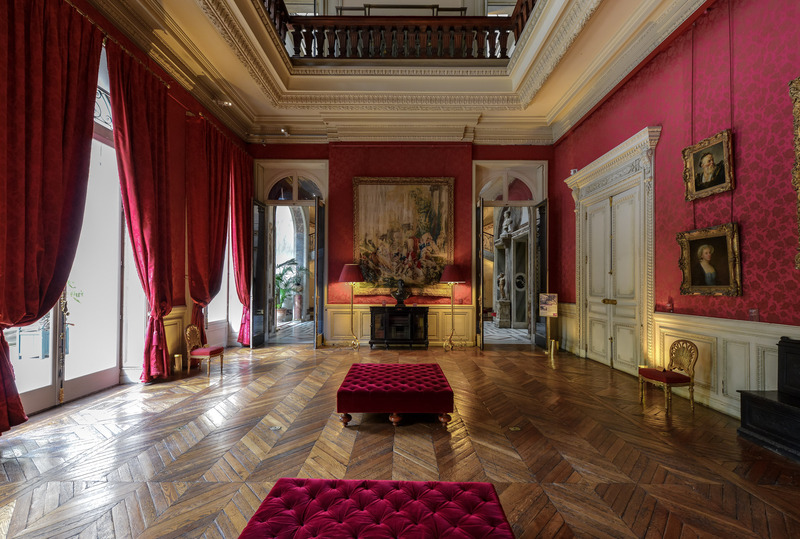 Since then, all Jacquemart-André’s private lounges and collections are visible and accessible all year round. 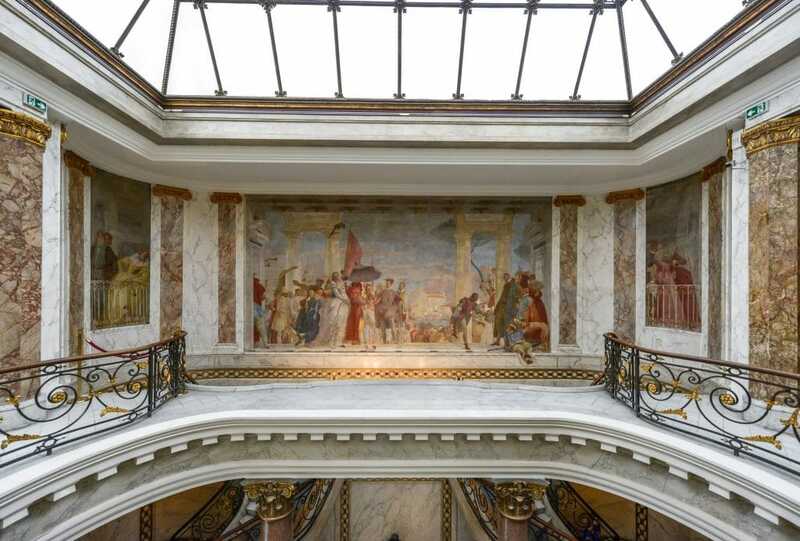 By entering the Jacquemart-André Museum for the first time, imaginary images of Proustian aristocratic figures come to mind. By giving free rein to his imagination it’s possible to see aristocratic society evolving in different rooms. 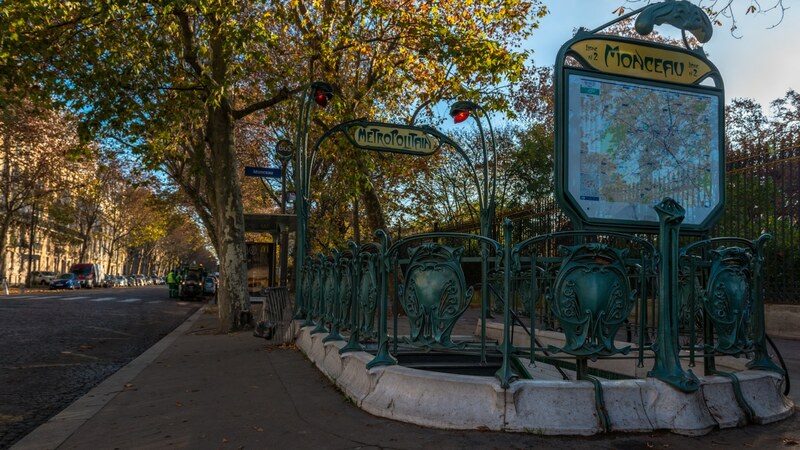 There is no reference to this place, either in the private life of Marcel Proust or in that of the narrator of his novel ” La recherche du temps perdu ”. The author wrote so many scenes about aristocratic life in Paris that the link could be done immediatly. He certainly would have liked to be invited by the Jacquemart-André couple. On the occasion of the great evenings organized by Monsieur André we can imagine the greatest celebrities of fashion. Elegant duchesses, princesses and comtessess wirling around in the large living room but also in the music room and the splendid winter garden. One can find a great resemblance to the private mansion of the collector Henri Clay Frick and his mansion located in the heart of New York. 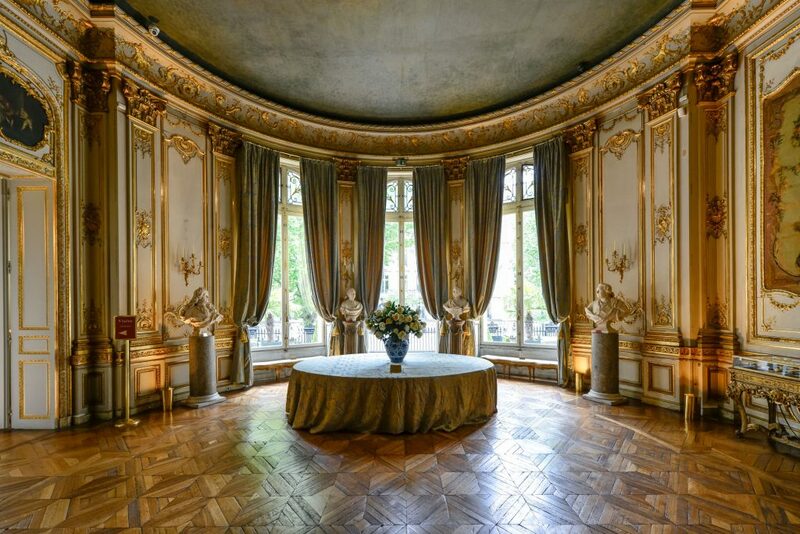 It was in the large drawing-room that Mr. Edouard André could welcome thousands of guests when he organized his big parties. The large drawing-room, the music-room, being no more than a single room for receptions and balls. 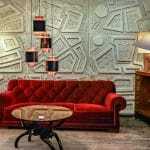 The decoration brings together from the beginning furniture and decorative objects from the 18th century. The music room is a jewel of the second empire style with its walls of red stretched fabric, dark wood furniture and painted ceilings. On the ceiling, an Apollo protector of the arts illustrates the spirit of the place. The winter garden is certainly the most impressive piece. A characteristic of Napoleon III style in the art of receiving. 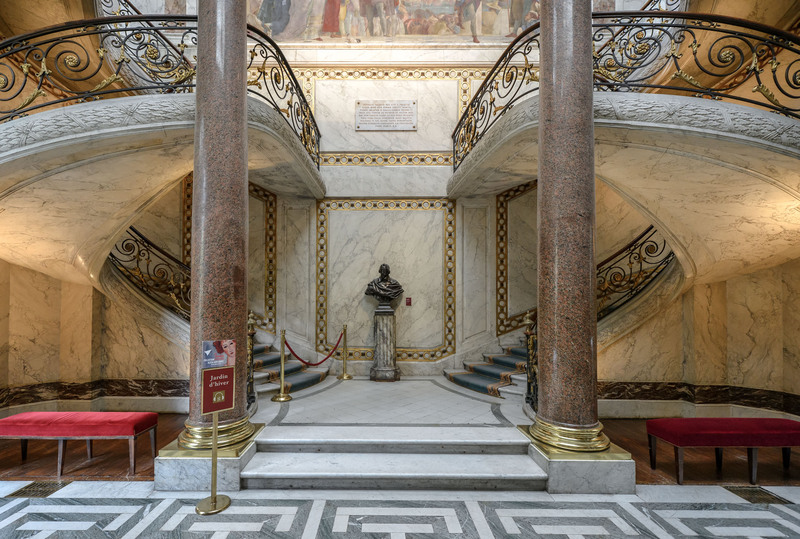 The staircase is decorated with marble, stone but also iron and bronze. An Italian fresco from Tiepolo, bought in Italy by Jacquemart-André, decorates the ensemble. 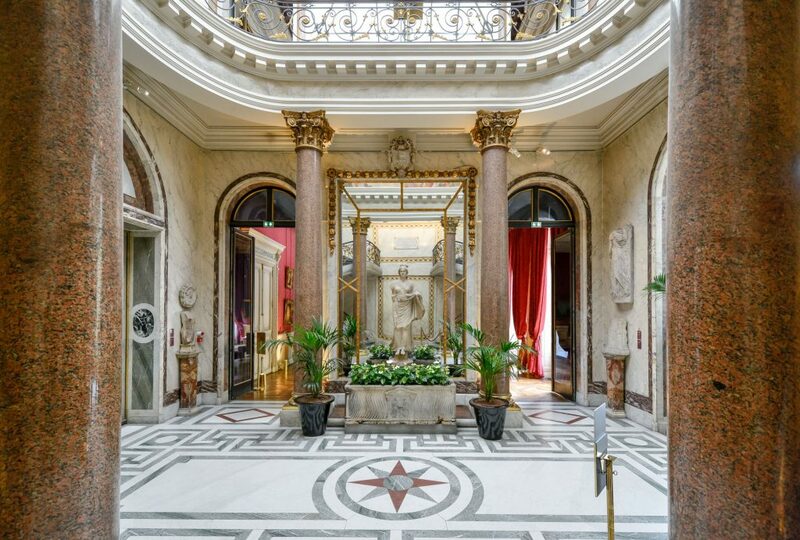 A magnificent canopy reveals sculptures, mirrors, green plants and a beautiful double-staircase. Today it has become a tea room very popular with the Parisians. The ceiling is also decorated with a very beautiful fresco by Tiepolo. The spouses accumulated an impressive collection of paintings and sculptures as well as woodwork, fireplaces, tapestries, frescoes and ceilings throughout their journeys to Italy and the Near East. 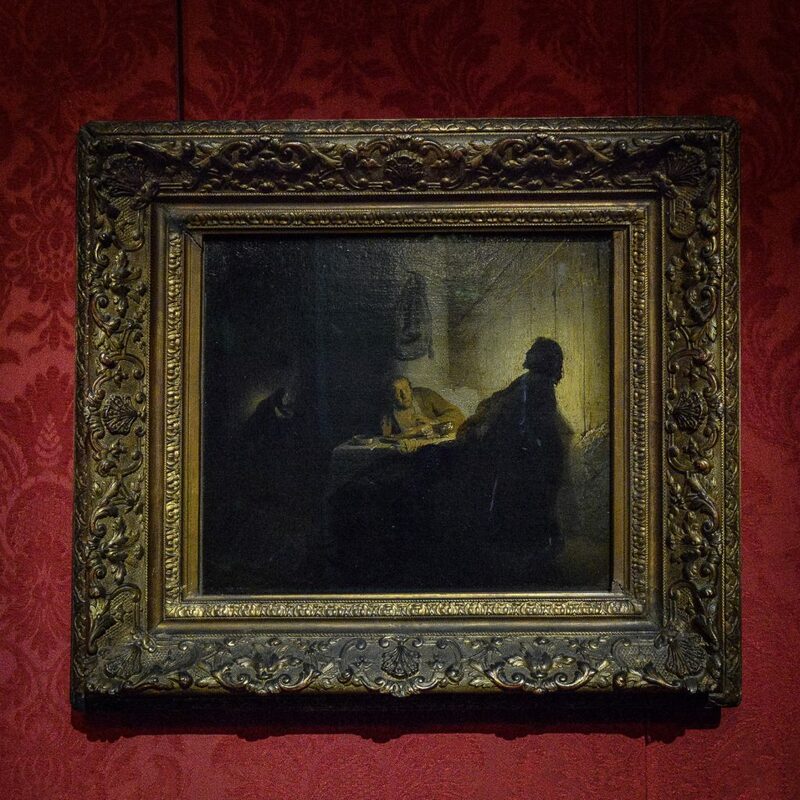 We will focus on one special Rembrandt painting ”The Pilgrims of Emmaus”. A very simple portrait of Christ with a simple light and shadows. It gives great mystery to the scene. A representation of Christ that reveals his identity to two disciples encountered after his resurrection. The scene takes place in the small village of Emmaus near Jerusalem. A second painting by the painter on the same theme is exhibited at the Musée du Louvre. Actually De Zurbaran à Roth a collection from Alicia Kollowitz. 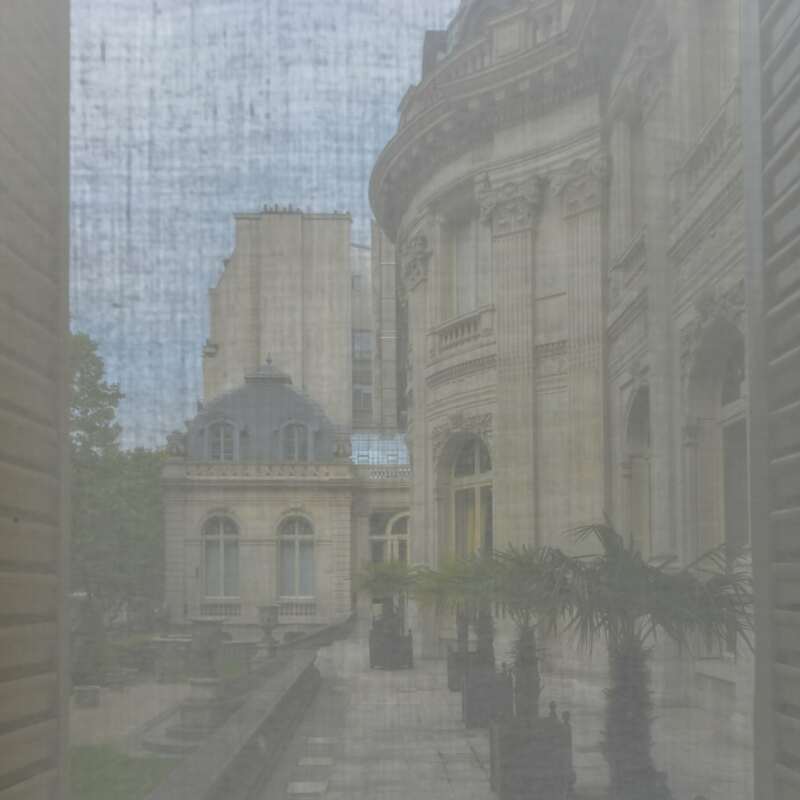 A ticket for the temporary exhibition gives access to the private apartments of spouses Jacquemart-André. 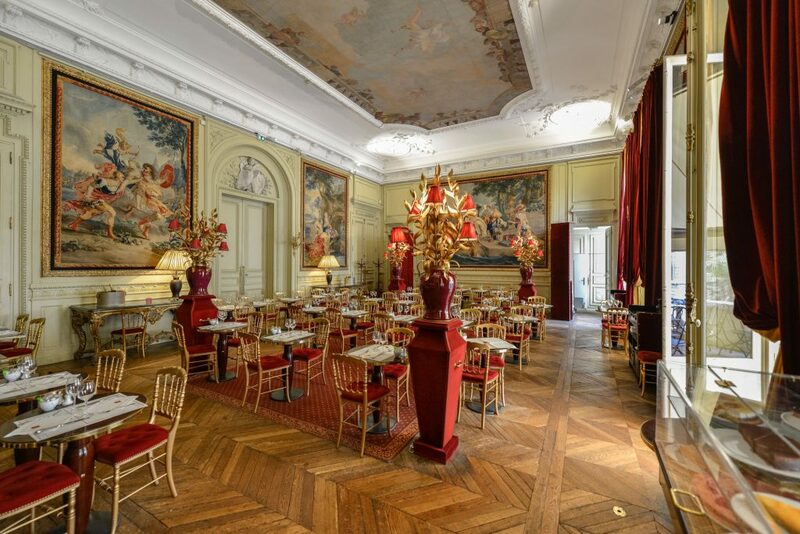 A fan of the Isabella Stewart Gardner Museum in Boston and the Henry Clay Frick Museum in NYC, I was amazed to discover the Musée Jacquemart-André with the wonderful guide to unique artistic spots in Paris, Frédéric Leloup. From walking up the gravel entry way, I was hooked. The light falling into this beautiful space is marvelous. 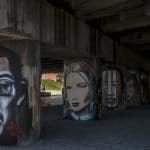 Astounding little gems are everywhere. Look up and there is a Giovanni Della Robbia roundel. Cool Rembrandts stand in shadowed corners. Botticelli. You do not want to miss this.